French dishes are famous across the world. The meals are special and unique when it comes to taste and presentation. We can all agree the French are earnestly gourmet and they are careful with cooking and culinary habits. They are so keen with every single detail such as beautiful sitting position and comfort. The French cuisine are more than just food and art of the world. Whether it is the common food or the fancy food in a great restaurant. The French culinary style is normally is mostly known as restrained and polite. Certain table manners should be adhered to when taking meal at restaurants. You need to wash your hands before you start to eat, don’t put towels in a glass, you should avoid dental floss, not give sound when chewing or belching in front of others when eating. In addition, make sure you eat when sitting up straight, don’t let your elbows or arms lean on the table. All these principles should be adhered during a meal, and these are special etiquette. With the large vineyards, France is one country in Europe with the longest history of production of wine. French wine is a beverage for parties and meals. It is also an ingredient for unique meals. Bordeaux is a city in France that is famously known for its wines- it is the largest producer of wine. The region is famous for wine brands such as Alsace, Burgundy, and Provence. There are so many factors that affect the taste of the wines, including the type of grape, the characteristic of the climate, the methods or recipes of wine storage. However, the main factor that affects the status of wine is the French wine producers. This one has become a great name in the French culinary culture. The dish features fatty goose liver dish and almost every meal must include this cuisine. It is a normal ingredient used in the preparation of pate and is used in the cooking of high-end hotels and restaurants with world class standard in France. The locals call it "foie gras" here. The cuisine is usually accompanied with Sauterne wine- this is wine that are made from grapes. France is one of the countries in the world that consumes the greatest amount of cheese. 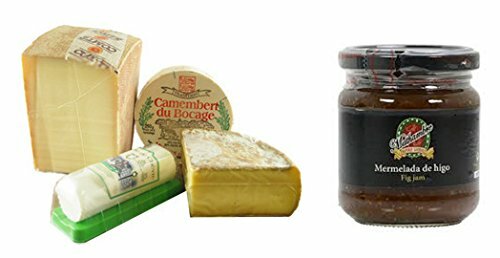 In France, you will find different kinds of cheese with different flavors. There are over 500 types of cheese with various types of flavors. They are main made from dairy sheep, beef as well as goat. Blue cheese in Roquefort is an area that is famously known for its smelly scent which can make you become addicted to it. On the other hand, the Saint Nectaire cheese which is prepared from fresh milk. There is so much you can learn from the French cuisine. The culinary styles, the cheese, the meals are just but a few. One thing is for sure, French cuisine is simply the best.